Chinese New Year is upon us. And that means, red envelopes, so called 红包hongbao (红=red, 包=envelope, packet), are about to make a major appearance. 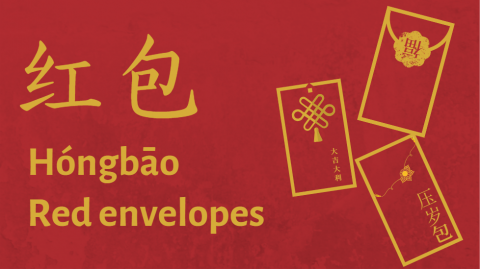 Whether you are giving out or receiving a lucky red envelope this season, here is what you need to know about the traditional Chinese hongbao. How much money is appropriate? Red envelopes, 红包 (hóngbāo) in Chinese, are a popular gift people give during important festivals and celebrations in China and some other Asian countries. 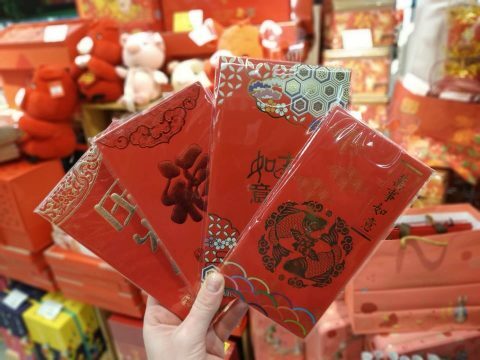 Red envelopes can be given at weddings, graduations, birthdays or as a work bonus, but they’re especially widely seen during the Spring Festival (Chinese New Year). What makes them so popular? Their “lucky colour” and their contents made of new and crisp bills! Traditionally, children and young adults receive red envelopes as a gift on Chinese New Year from their older relatives, friends of the family or neighbours. Married couples can give hongbao to single people and older people can give them to younger people. Some companies will give out hongbao to employees. Once an adult starts earning money, he/she will be expected to give money not only to kids but also to parents and grandparents to show respect and a grateful heart. The red colour stands for good fortune and prosperity for the new year and it is supposed to ward off evil spirits. But even better: The envelopes are filled with cash. When filling the envelopes, there are some rules to consider. Usually, new banknotes straight from the ATM are preferred. Giving worn notes or coins is considered bad style. What amount of money per envelope is appropriate? All amounts with the number four in it should be avoided. Four, in Chinese 四 (sì) sounds similar to 死 (sǐ) which literally means death. Not an association you’d want to evoke on a holiday. Multiples of eight, so 80, or 800 Yuan are good, since eight is traditionally lucky in China. If you want to treat your significant other with a hongbao: lovers like to give 520 Yuan, because five, two, zero in Chinese sounds a bit like “wǒ ài nǐ” – “I love you”. By the way: If you are on the receiving end of a red envelope, you are not supposed to open it right away. Just accept the flat package with both hands and say thanks. A custom that applies to gifts in general. At a wedding or a birthday party for instance, the presents are not opened until after the party and without the guests present. What’s the Origin of Hongbao? 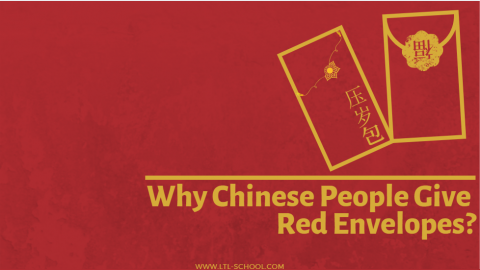 It’s not completely clear where the tradition of giving red envelopes during holidays or special occasions comes from. It might be connected to a custom dating back to the Qin-Dynasty (221 to 206 BC). At that time, people used coins for payment and the elderly would thread these coins together with red string for good luck and protection from sickness and death. The was called 壓祟錢 (yāsuì qián) “money warding off evil spirits“ (yāsuì = control evil spirits, qián = money). Later, the yāsuì qián was replaced by red envelopes and its meaning was slightly changed with the homonym for 歲 (suì=old age). Today, the money that is given as a gift in red envelopes is still referred to as yāsuì qián, meaning “money warding off old age“. An alternative theory according to a legend is that, in ancient times, there was a fearsome demon called 祟 Suì (evil spirit). This demon was totally black except for his hands, which were white. Every year on New Year’s Eve, the demon would come to touch a sleeping child’s forehead three times. In a state of shock, the child would burst into tears, then he would get a headache, fever, and start ranting. When these symptoms disappeared, the child would become mentally retarded. In order to guard their children and keep away the demon, parents would keep their lights on and stay up the entire New Year’s Eve. 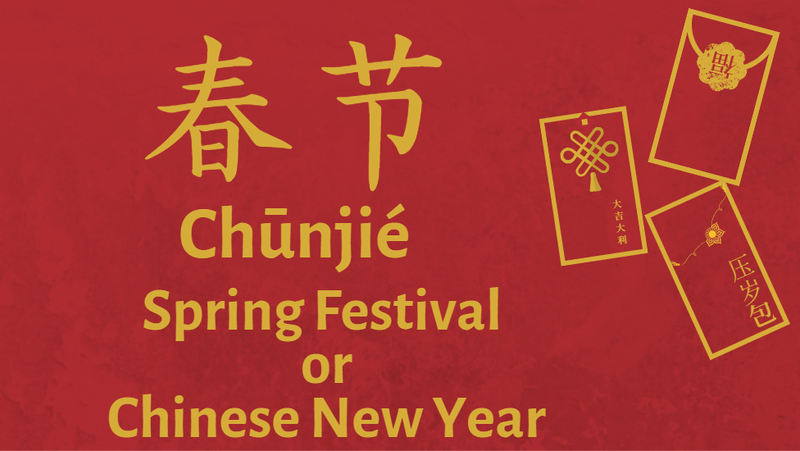 This could be the origin of modern-day “staying up on New Year’s Eve” tradition called 守岁(shǒusuì), originally written as “守祟” “waiting for Sui.”, later replaced with the homophonic character “岁”(suì) “year”. 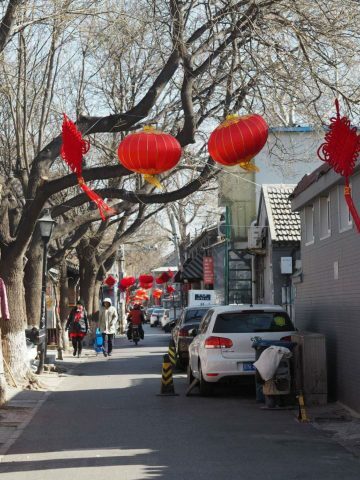 One New Year’s Eve, in Jiaxing, Jiangsu, there were two quite aged parents fearing that demon Sui would come to harm their son. Therefore they gave him eight coins to wrap in red paper. The child wrapped and unwrapped his coins again, and again until he was so tired that he fell asleep. As red is the color of luck, energy, and brightness in Chinese tradition, and it is also believed to protect against evil, the couple placed the eight coins beside their child’s pillow. When everybody had fallen asleep, the demon appeared and walked toward the child’s bed, but when he extended his hand to touch the child’s forehead, rays of golden light burst out from the red packets. Frightened by the lights, the demon and fled away. This story spread through their village, and all the parents began to prepare their red packets – literally 红包 (hóngbāo) – to protect their children. In China, in the last couple of years, digital money has pretty much taken over. In everyday life, notes and coins seem to be a thing of the past. Instead, even the old grannys and grandpas use their phones to pay for a three-Yuan-Baozi and the hole in the wall mom-and-pop store has a QR-code for electronic payment. So it was only a matter of time, before the culture of giving money in red envelopes made the transition to the digital age. In 2014 WeChat launched digital red envelopes and shortly after, its rival Alipay made the same move. Instead of being handed over in person, the digital red envelopes are sent via app from one smartphone to the other. The money inside is credited to the recipients digital wallet when he or she opens it. 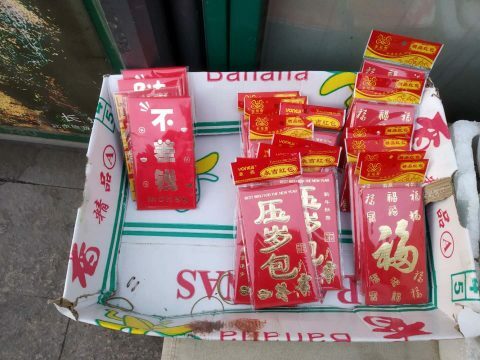 Since its introduction, every Chinese New Year a growing number of red envelopes is being sent. For Chinese New Year 2018, Tencent (who developed WeChat) reported that 768 million people sent and received hongbao over the app during the six day holiday period. Since it’s so easy, with just a flick the wrist you can grant your friends, coworkers and miscellaneous group chats with digital envelopes, it has become quite common to send out hongbao with just a few kuai to basically everybody in your contact list throughout the holidays. It’s a way to just say hello and Happy New Year, and usually what goes around comes around, so it won’t really strain your budget in the end. Whether it be physical red envelopes or digital ones – the tradition of giving red envelopes is very much alive and an essential part of the Chinese New Year celebrations. Keep in mind to only give hongbao to people who are younger than you. When filling the red envelopes with money, avoid the number four and always use new banknotes. Accept a red envelope with both hands and don’t immediately look inside. Digital Hongbao, sent via WeChat, are a fun and common way to wish your friends and coworkers a Happy New Year. If you wish to hear more from LTL Mandarin School why not join our mailing list. We give plenty of handy information on learning Chinese, useful apps to learn the language and everything going on at our LTL schools! Sign up below and become part of our ever-growing community! Johanna has been living and working in Beijing for almost two years. 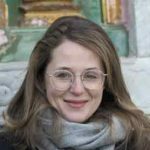 She writes about culture, food and her everyday life in China.